To take screenshots on Android device without root is biggest discussion among all Android users. If you search over Google then you will find that most of the tutorials are for rooted devices and rest require that you take to take screenshots on desktop using Android SDK. Today I found an easiest way to take screenshots directly on Android device without rooting your device. Recently I purchased a new Android powered phone (Samsung Galaxy Ace) and I was looking for a way to take screenshots directly on my phone. Unluckily I didn’t find any tutorial on internet. Today I was ending some services to save battery and accidentally I saw a service named as ScreenCaptureService in Running Services (Settings -> Application -> Running Services). I immediately got the intuition that this is something related to screenshots. I did a search on Google and landed over to XDA developers forums. There I found that we can actually take screenshots with ScreenCaptureService. For your information I am using Android 2.2.1 version. To take screenshots on your Android device, simultaneously press the Back and Home key. Then a message will appear that screencapter is saved as image. Screenshots are saved in ScreenCapture folder in your SD card. I hope you like this post. Do share your views if this method works for you. If you know any other method to take screenshots on Android without root, please share it with us. Thanks for sharing. I think this is the default feature of Android 2.2 Froyo. I too looking to buy a android phone as it’s time for android ;). I had no idea about such issue and resolution but I got both over here. Thanks dude!!! Wow, your Android phone’s “desktop” looks really nice! I heard Samsung Ace is a great smart phone! How much did you get it for? it doesn’t work for Nexus S, either. i also tried shootme, but the app noticed that the phone is not rooted. i recently discovered that you can take screenshots in debug mode using ddms.bat (on win). i need to share with the world a screen shot of my home screen and even with this trick its not happening. i am also using an ace. kindly revert back asap. It happens with me too. I think there is no default option for this. I’ll find and review a app for this purpose. I have samsung galaxy fit which runs android 2.2.1 . I accidentally captured screenshot twice while using the phone in last 2 months. I could’nt figure out how it happened but it happened. When i try using these home and back keys simultaneously, either it opens the task manager or goes back. I am still confused. I recently got the Samsung Galaxy S II and I found taking screenshot to be extremely easy on it. You just have to press the home and lock buttons together. Just like in iOS. The images are saved in in the ‘Gallery’. It doesn’t work on my phone too. The screenshots that I want to take are from the browser or from other apps. The back button only serves to exit the app. great…it works on galaxy mini… but not simultaneus hit the back and home button… i’ve try it…and the right way is hold back button for a while then hit the home button…and done!!!! Wow! Thanks for sharing this man. It works like a breeze. I’ve the same phone however I found that instead of pressing the back key and home key simultaneously hold down the back key and then press the home key will allow you to take screen shot of applications as well. Give it a try. Galaxy 5 , the informed key combination just brings me a notify screen of the recent used functionalities/apps I used (and even a button for the Task Manager). Using Froyo. Yup , vath is right. The right way is hold back button for a while then hit the home button. I am using a Samsung Galaxy Ace. I tell you , it is a very good Android phone. 3.5in screen is just nice for me. please tell me how you did..
can u tell me how can i take screenshot in my phone? Thanks. It worked on my Samsung Galaxy S Plus. i can take a screen shot without any root and without any app..
i.e. by holding back key and then pressing home button..
Doesn’t work on an htc Inspire. It worked!! 🙂 Thank you soo much! I have Galaxy Ace as well.. Btw have you upgraded yours to 2.3? How do you do that? Yes, I have upgraded it to 2.3. You can search for it here. I have a guide to upgrade Galaxy Ace to Gingerbread. Hey folks who has a galaxy fit! I got it! just keep hold the bak button and then press twice the home button! 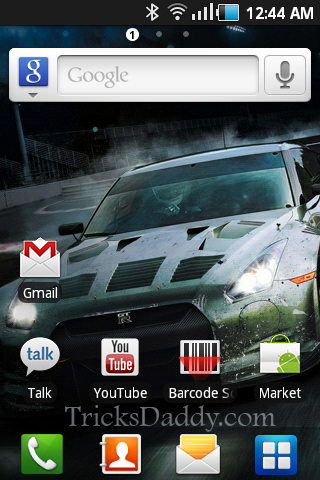 Does anyone here knows how to do screenshots in xperia arc without rooting? I’ll gladly appreciate any help here..
Just tried it, and it didn’t work (Galaxy Mini); so I tried a different combination of buttons. I tried it, and it worked like a charm in a Galaxy Mini: hold Back AND WHILE HOLDING tap Home button. Hi,friends for Samsung galaxy y, press home key and power button simultaneously for a while.It’s work for me. hi! guys i hav Pantech Burst. rooted n enjoyng screenshot with difrnt app… bt bfr i root my cel, many times i noticed that sometime my cell automatically take screenahot. it must b hapnd bcz i press sm keys in combination acidently….. bt wot keys make….. 🙁 still i dnt knw. i tried ur trik. it did nt work for me. any idea for pantech Burst?????? None of these work ;( (Pantech Burst) please help.